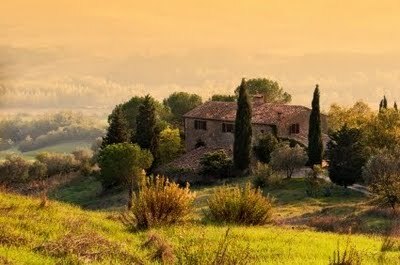 When people hear that you live in Italy, they all assume that you’re living this “Under the Tuscan Sun” life. We must have this amazing life with a house in the Tuscan hills, filled with “creepy italian trees” and awesome views of beautiful vineyards. After all, it’s Italy! How can life be hard and complicated in such a beautiful country. No matter how many time you come to Italy for vacation, you WILL NOT understand what it’s truly like until you actually live here. While I knew that I wouldn’t be strolling the piazza with a gelato in one hand and pizza in the other, I didn’t know exactly how difficult/time consuming it would be just to do simple things like going to the Post Office. Italy is beautiful. Each city, village, region has it’s own story to tell. Some places are more advanced, some more true to it’s roots but still complex. Like Italy, each expat has their own story. Some have experienced more than others. Some have jumped through hoops just to get a simple document where as others have maybe gone the “Italian route” and “called in some favors”. Regardless, we’re all here trying to do the same thing; find our own balance and happiness in this crazy beautiful country.